It’s often said that Italians are passionate about their food, and this is borne out by today’s “pasta strike” across the country. Where else would an entire nation call and observe a strike to protest the rising prices of their national dish? 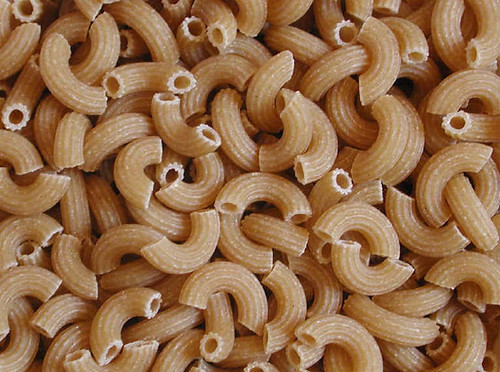 Reported in the Guardian (UK), Italians are coming out in sympathy with their farmers who are protesting about the 500% cost increases between the cost for wheat and the processed pasta. Government officials blame it on the rising prices of wheat worldwide, but the Italian farmers surely have a point, as if wheat prices are rising, why are they being paid the same price per bushel when Barilla are raking in the cash? In America and Britain, much less bread is eaten than it used to be (due to ridiculous notions that you should cut carbohydrate from your diet), so it’s hard to make a direct comparison between the rise in cost of basic foodstuffs here and in Italy, since the relative shock would be felt much more by Italians. But bread riots have happened in the past across the globe in times of shortage and inflation, and you can’t argue that basic human needs like food must be met. Indeed, this is the reason for the strike. Italians eat more than 60lbs of pasta annually, and on average, at least one plate per day, so they are feeling the pinch of higher prices every day. Their proportional intake of wheat is so much higher than most other places on the planet that it’s no surprise that this is important to them on a basic human level. However, on a more philosophical level, this is an understandable response too, and this blog supports Italians who are protesting today. This is not only because are we huge fans of pasta, we also believe that if you’re passionate about something that’s in jeopardy then you should act to make sure it is saved. There are so many traditions that go to the wall because too few people care enough to preserve them, and to many, inside and outside the country, pasta is the Italian tradition, so it’s gratifying to see that Italians care about it and want it to remain. What do you think? Is food important enough to strike over? Hi, babe! It’s your wife. I wanted to comment on your article about striking for food. I personally DO think that food is important enough to strike over. People will fight for their rights to to get a fair wage, fair treatment at work, fair gas prices and fair whatever else is important to them. The thing I love about Italy and Italians is that they not only care deeply about what the eat, they care deeply about every single ingredient that goes into their body. Pasta is not just a “quick and easy meal” to them… it’s adored and looked at in an artistic way. I also love that they know and care about where their food came from. What’s different about them compared to Americans is that they care not just about their own bottom line and how much money they will save, but they care about the farmers, the people who bring them the food that they love. It’s a beautiful thing! Plus it reminds us all that food should be pure and should come from things that we grow in a natural environment, not create, shoot full of crap and then process.